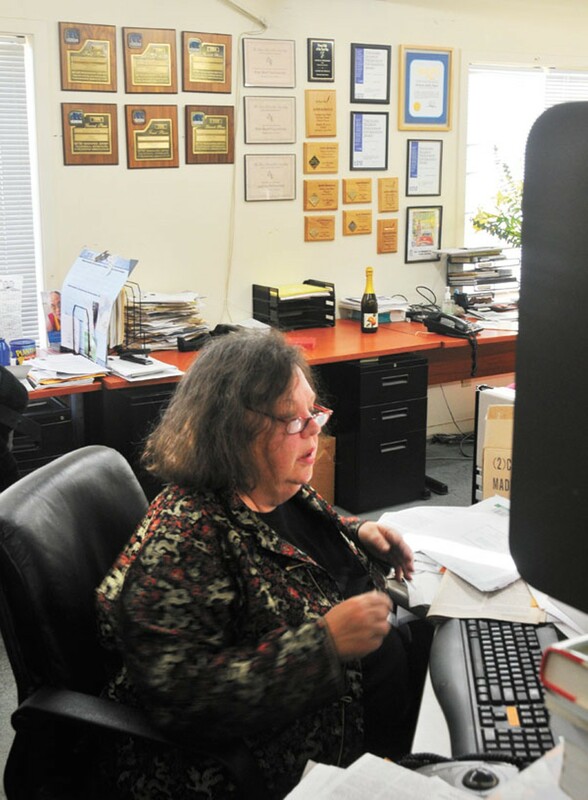 A former longtime reporter details the rise and fall of Berkeley's hometown newspaper. Unlike most of the other papers for which I have reported, the Berkeley Daily Planet never made one dime. Advertising green and not printer's ink is the life blood of any newspaper, and neither of the paper's two regimes could find enough business and classified advertisers to stem the flow of red ink on the corporate ledgers. The Berkeley Daily Planet also was a misnomer, but it's the brand that Becky and Mike O'Malley bought when they took over the last remaining assets of a six-days-a-week newspaper founded by Peninsula-based investors and which had published between April 7, 1999, and November 22, 2002. The final print incarnation began as a twice-weekly under the O'Malleys on April 1, 2003, and it eventually became a weekly publication. I was hired three months after the O'Malleys took over, and was laid off four months before the presses stopped on February 25, 2010. While the first version of the newspaper aimed at a general audience, carrying wire service stories on national and international events along with a sports page, the second incarnation focused more narrowly, with its greatest emphases on land use and reader submissions in the form of letters to the editor and op-ed commentaries. In a town filled with transient students and renters, the paper chose to report on topics of more interest to property owners and older residents. Rock concerts, blockbuster films, and poetry slams were rejected for classical music performances, opera, theater, and art-house cinema reviews. Most advertisers look for younger readers. Writing an obituary for the Berkeley Daily Planet may seem premature since the paper is still maintaining a web site and one reporter. But it's safe to say that with the layoffs of all the staff except for reporter Riya Bhattacharjee and the demise of the print edition, it's the end of a raucous era in a city known as the home of the Free Speech Movement. The death of a newspaper isn't big news these days, unless it's a major daily like the Rocky Mountain News. But the Berkeley weekly's demise was noted by a few papers and on web sites that track newspaper layoffs and closings — sites with names such as Newspaper Death Watch and Paper Cuts. It's also open to question whether any newspaper devoted to Berkeley could make enough money to pay full-time reporters and give them the time to dig deeply into community events. But I was able to do that for most of my time at the newspaper. That's because my primary beat was land use. Much of my time was devoted to meeting coverage: At various times I covered the Berkeley Planning Commission, the Zoning Adjustments Board, the Downtown Area Plan Advisory Committee, the Landmarks Preservation Commission, assorted other special committees, along with occasional city council coverage. With the exception of the council meetings, I was usually the only reporter at most of the meetings which focused on one of the city's key disputes, the development question. Such reporting was once the bread and butter of community newspapers, accounts of government in action by reporters writing to keep the public informed of critical events that will shape the future of the places where they live and work. And the issue is critical. As I reported over the course of two city council elections, the development industry comprises the largest bloc of contributions to municipal candidates in a city where the Planning and Development Department is funded by developer-paid fees. In addition to my coverage of local government, I also reported extensively on Bay Area tribal casino projects and their backers, the toxic histories of major proposed development sites in Richmond, the implications of the University of California at Berkeley's $500 million, BP-funded agrofuel research grant, and other campus conflicts. But the paper's narrow focus and the newspaper's development-critical editorial take — along with a fair number of op-eds and letters — alienated development and smart-growth advocates, along with an unknown number of potential advertisers and their dollars. In fact, just how long the O'Malleys could keep the paper going was a frequent topic of employee conversations. Becky O'Malley wasn't the easiest editor I've worked with, in part because a lot of her expectations were never voiced. And, like many of her critics, she lets her anger show. I was hired as managing editor and was demoted after six months, basically because we had different expectations of my job and what a newspaper's role should be. I was much happier as a reporter anyway, and she didn't cut my pay. She's also the most assertively outspoken of the editors I've known, and on several occasions she shouted out during public meetings. But the one time I included her outbursts in a story, the sentence vanished during the editing process. Other reporters left in frustration, one — Judith Scherr — very publicly. In a widely reported e-mail, she declared, "After 2.5 years of being insulted, berated and lied to by the Daily Planet's executive editor — and having my stories distorted by the deletion of quotes from persons Becky O'Malley hates and the addition of her nasty remarks about such people — I have left the Planet." Two other reporters, while commenting on O'Malley's strong personality, said they left more from frustration at the paper's narrow focus. Her temperament also produced stronger reactions in the community than anything I'd seen before. People either like her or loathe her, and some of the latter still tried to use her. But she has a vision of the community shared with many of her readers, and she provided a platform for some good journalism.